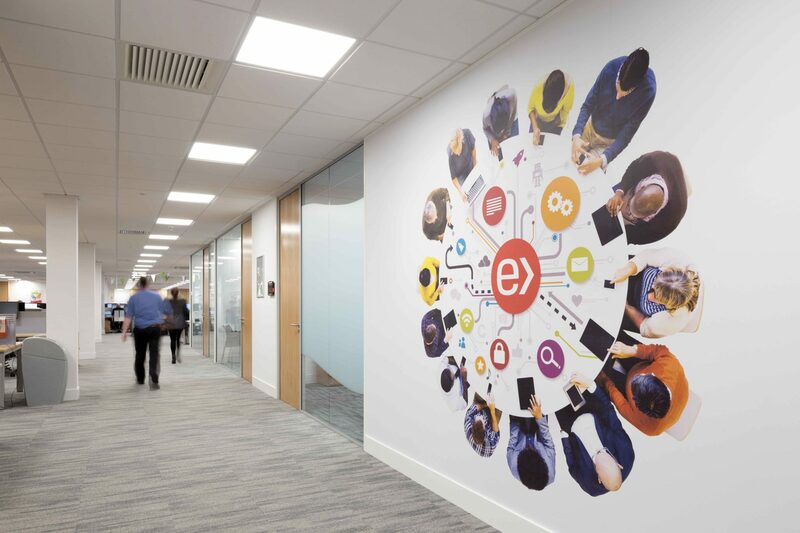 Exertis, one of the UK’s leading technology distributor, approached Woodhouse for a comprehensive fitout solution as they were centralising and consolidating multiple distribution centres. 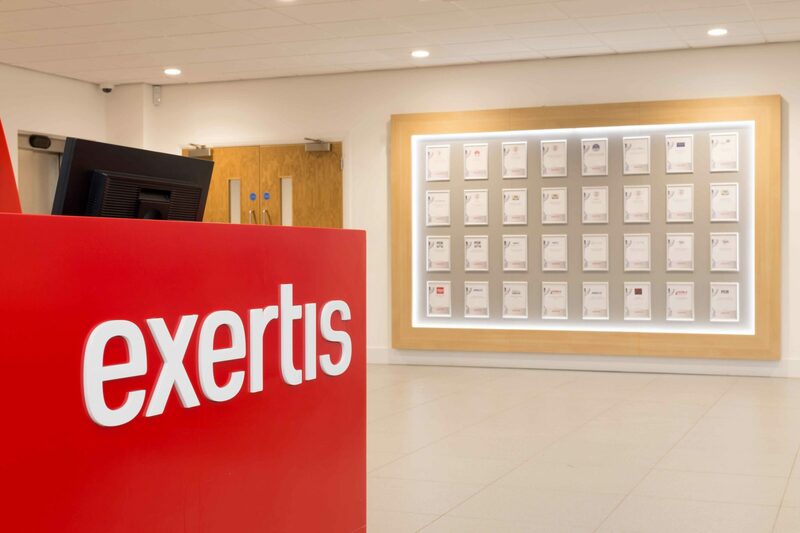 Exertis had acquired a new build distribution centre in Burnley, East Lancashire that covered 40,000 sq ft. 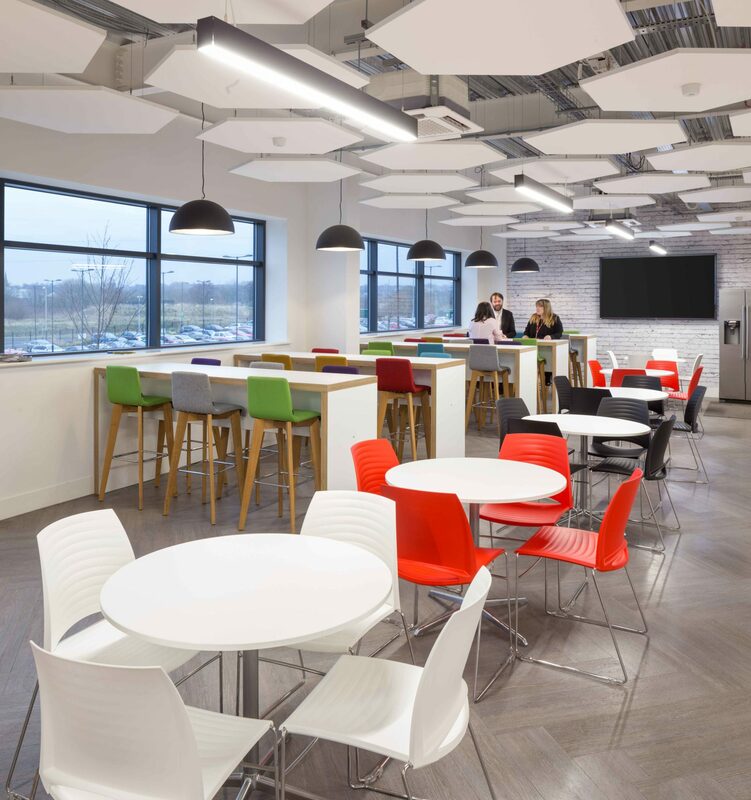 They had three key requirements to their office design and fitout; firstly, the relocation had to be as efficient and as slick as possible to cause minimal disruption for their employees and distribution. 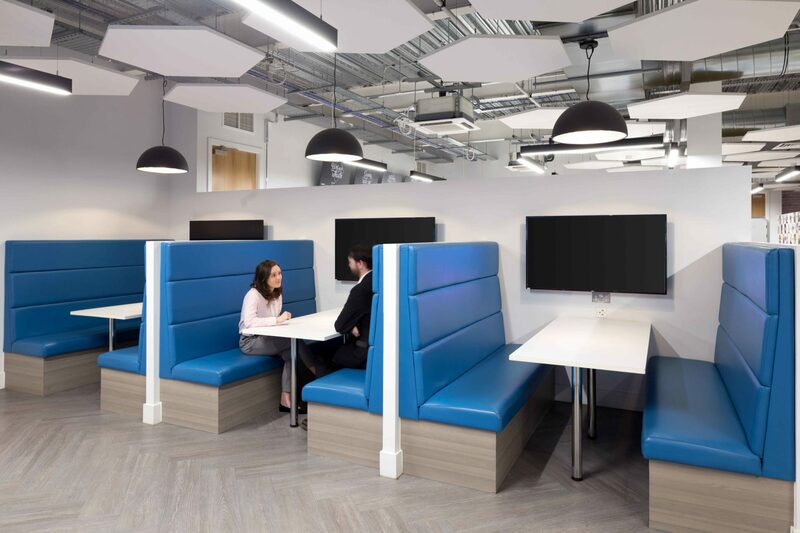 Secondly, the office had to provide the various teams with productive working spaces and breakout areas. 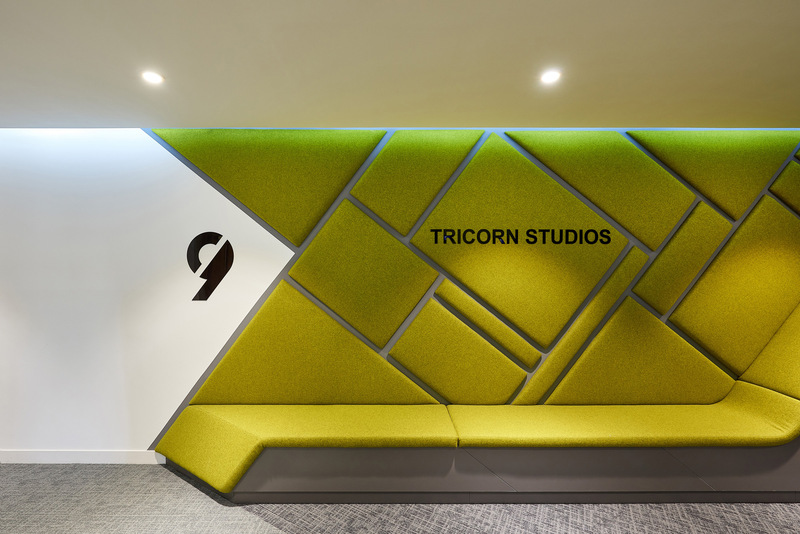 Finally, the design had to project the brand in a corporate manner whilst reflecting their personality. 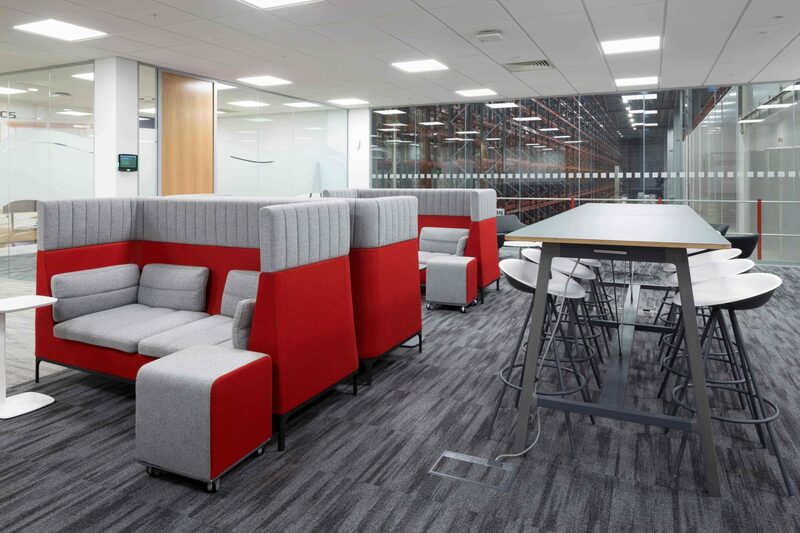 Woodhouse listened to the client’s needs carefully and matched the concept design proposition to their requirements. 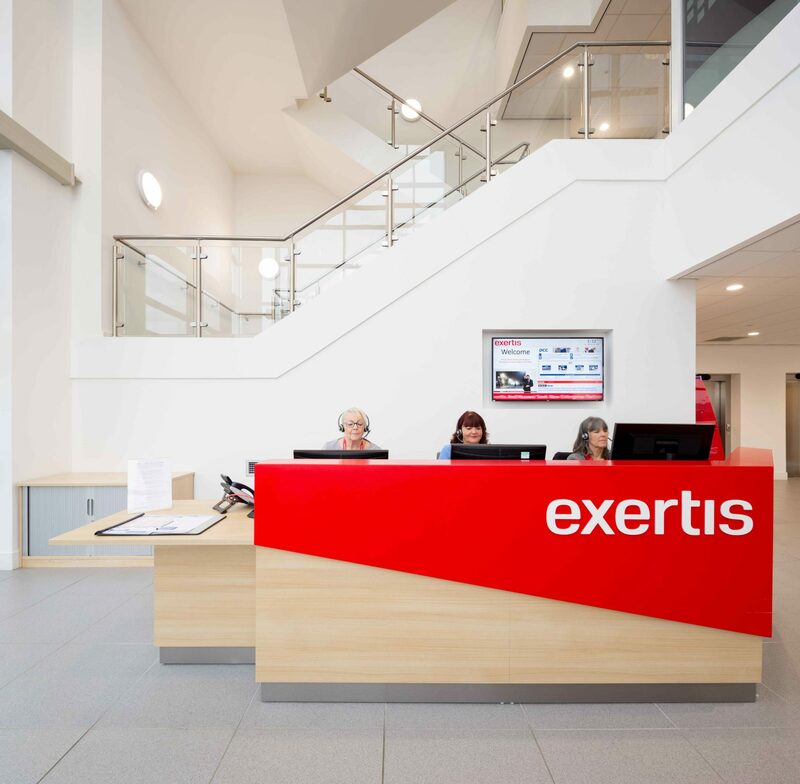 The 40,000 sq ft office spanned three levels, and was able to provide a variety of environments for Exertis employees. 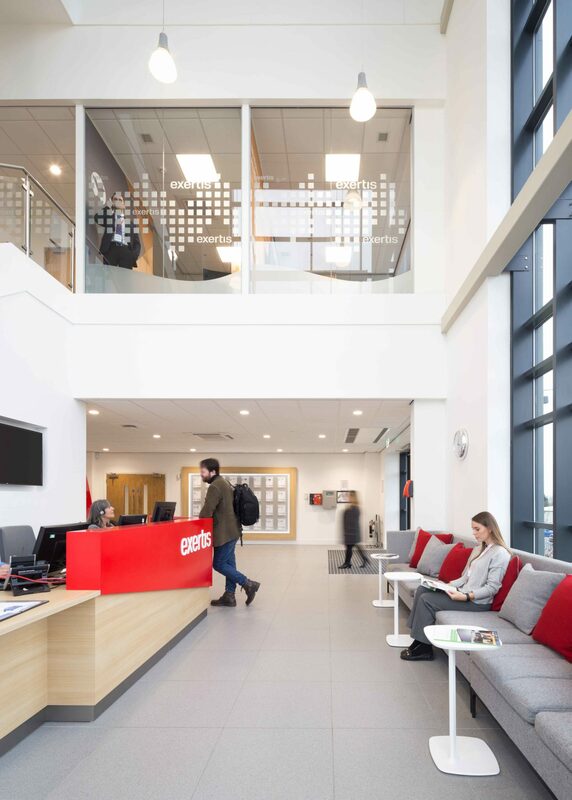 The design encompassed office space, a number of teapoints, meeting rooms, a boardroom, a high spec communication room, changing rooms, washrooms and showers. 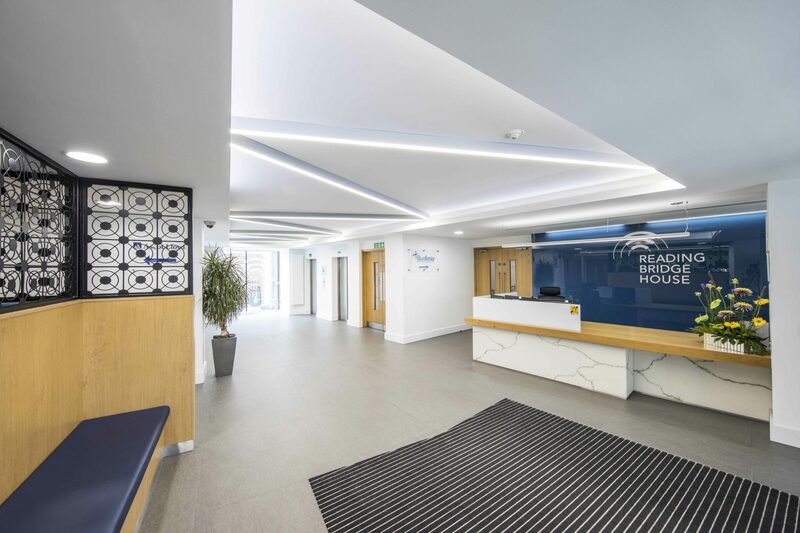 The Woodhouse solution introduced a welcoming reception area, open plan working space and multiple glazed meeting rooms, creating a premium look and feel. 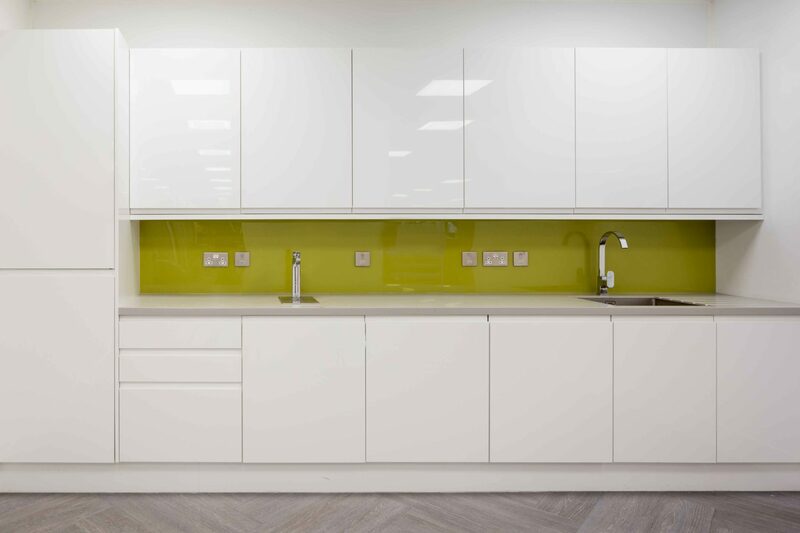 The café was a key feature that connected the warehouse and office staff, using imaginative design, bespoke furniture and joinery with their brand incorporated throughout. 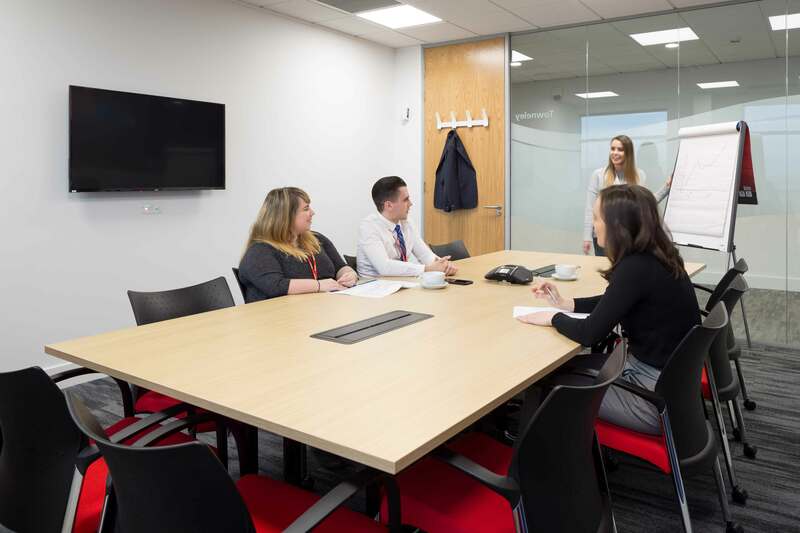 The finished space presented an inviting, corporate office that was innovative and accommodating to the various working needs of the company. 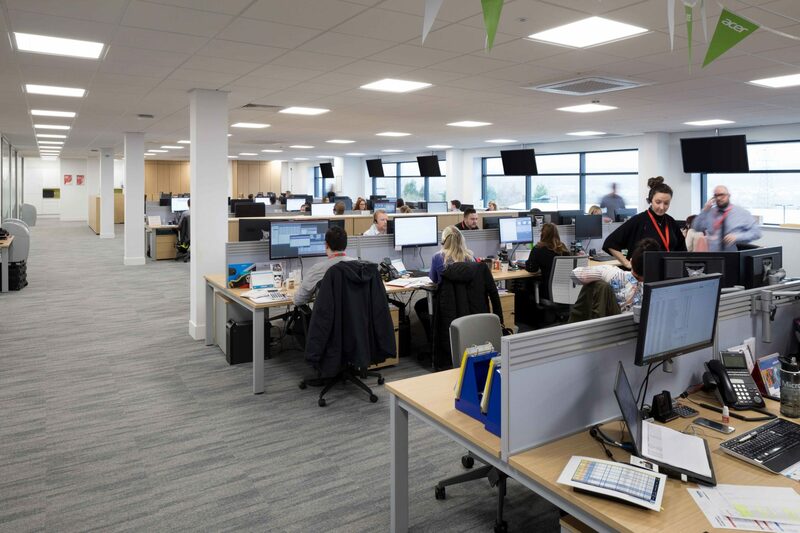 Despite the rather challenging location away from hubs of industry, the project was delivered smoothly, on time and within budget enabling Exertis to relocate and resume operations with the absolute minimum of downtime. 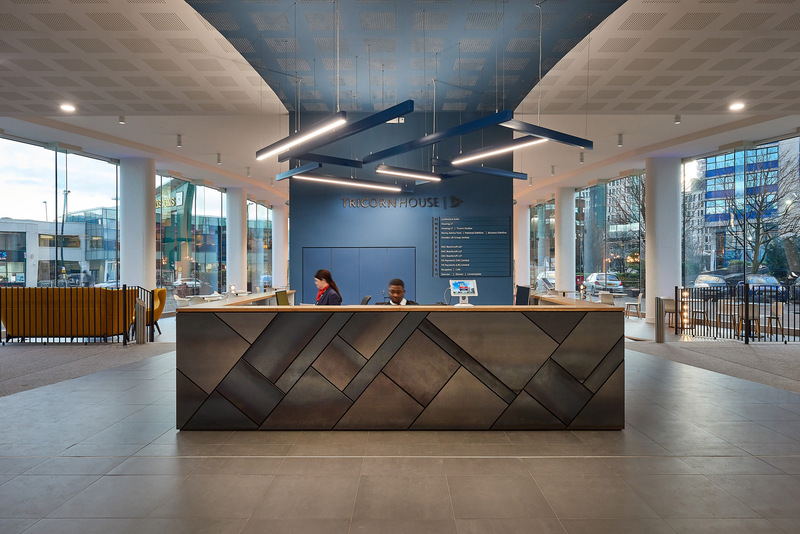 Woodhouse Design and Fitout for Exertis from Woodhouse Workspace on Vimeo. I believe one of your strengths at Woodhouse is your speed of reaction.